<snark alert>Now I wouldn't describe myself as a snarky sort of a blogger, but I confess, my snarky inner me is jumping up and down screaming: "snarkbait!!". So I'm going to succumb.</snark alert>. Oh, and this is IMHO, IMO, not the view of my employer, blah, blah. Now that's a title I couldn't resist, so I read through it with great excitement and fervour as it described a 'preview' of JamJar on labs.adobe.com. 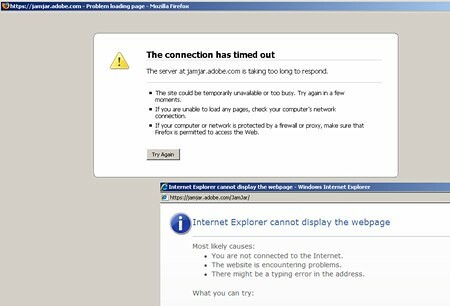 Apparently Mike is a HUGE fan of it and in his view is "one of the BEST 'client applications' Adobe has released". EVAR!! So, now on to my snarky cheapshots. No RSS feed for new items. No APIs to add items to your space from outside JamJar. I've got 3 other reasons to add to the list. "Apologies for the click-bait in the title. I'm not a big fan of the term 'Web 2.0'." Oh, and while we're at it, have you seen this ad on the TV? 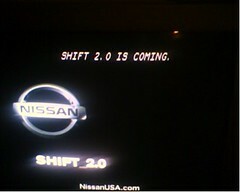 Shift 2.0??? More like Shaft 2.0 me thinks. Have a great Weekend 2.0! No worries, I can take it. Check for a response on my blog tomorrow morning. BTW: Server problems should be fixed now, so everyone can feel free to check out JamJar now.